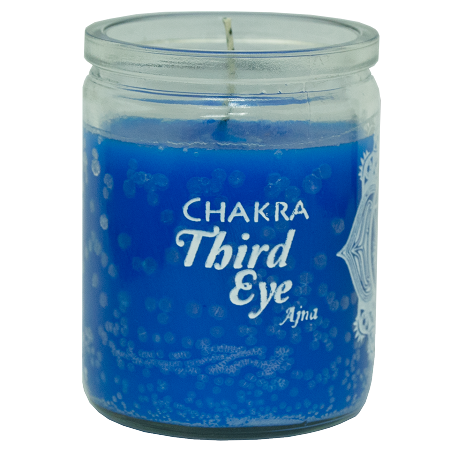 Third Eye Chakra (Clear Perspective and Intuition) "I Perceive"
This chakra is known as the brow chakra or third eye center. It is related to the act of seeing, both physically and intuitively. It allows us to see clearly, in effect, letting us "see the big picture". 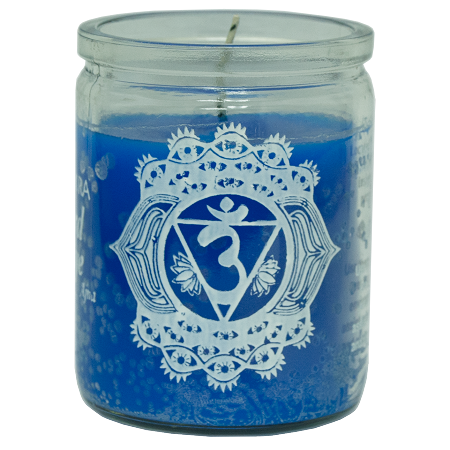 50 Hour Glass Candles - Measures approximately 2 1/2" x 3 1/4"